Project team that included representatives of Academia d.o.o., OE Višja strokovna šola, the Belgrade Chamber of Commerce and Belgrade Metropolitan University did a pilot program assessment of part time and short cycle studies while working at the School of Electrical and Computer Engineering of Applied Studies in Belgrade on May 8th. 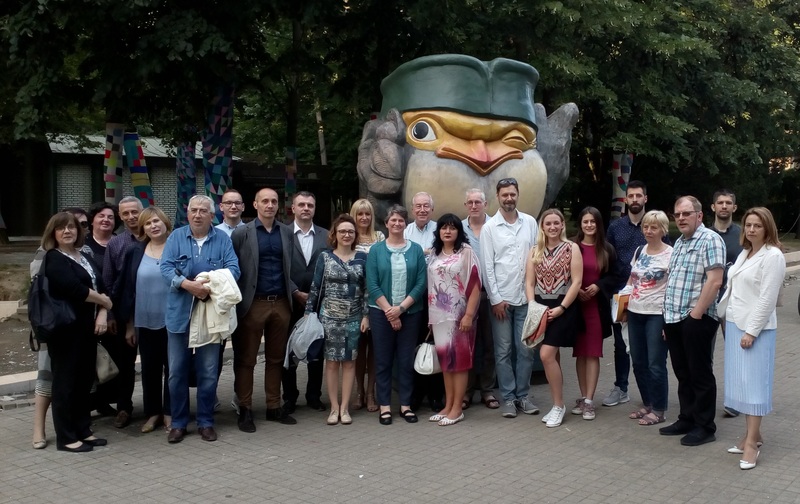 Project team that included representatives of the Belgrade Chamber of Commerce did a pilot program assessment of part time and short cycle studies while working at the Metropolitan University in Belgrade. 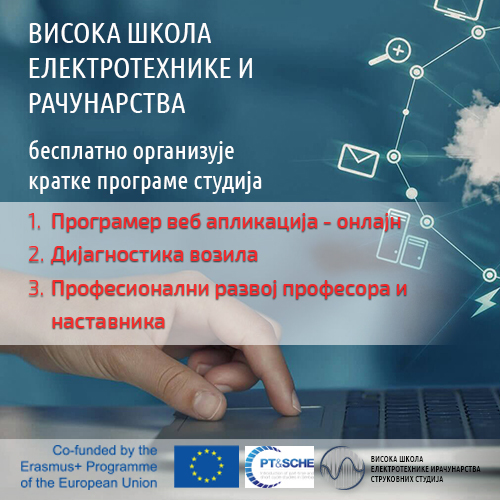 School of Electrical and Computer Engineering of Applied Studies in Belgrade in school year 2017/2018 offered scholarships for part-time and short-cycle pilot studies. 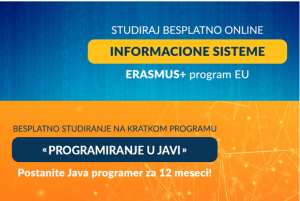 Belgrade Metropolitan University offered scholarships for part-time and short-cycle pilot studies for 16 students on “Information Systems” bachelor part-time studies and 10 students on “Java Programming” short-cycle studies. On the 12th of July 2017. monitoring visit to the project was held on Belgrade Metropolitan University by the National Erasmus Office. The aim of visit was to overview The International Strategy and project management approach at the University level and to monitor project implementation. 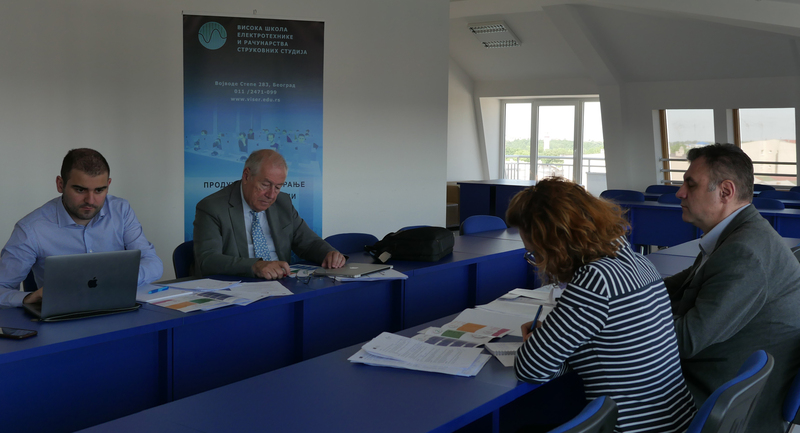 Study visit to Szeged, Hungary, organized by the University of Szeged, Hungary. The meeting outlined the PT and Sc programs delivered at the USZ, some presentations focused on aspects of materials design for PT and SC studies and described a case study of how to include practical aspects in theoretical PT courses. The trip also focused on the importance of the non-educational sector in PT and SC studies. Study visit participants were given an insight into the cooperation between city and university, the role of the Chamber of Commerce in study programs and they were able to visit a training site. 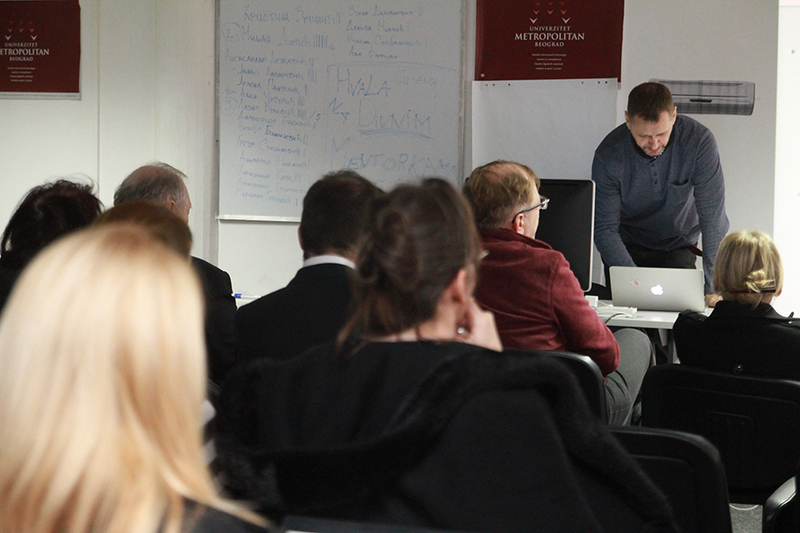 Study visit and management meeting, organized by Tallin University, Estonia. The main topics of the presentations and discussions included an overview of learning content authoring tools as well as effective instructional design for blending learning. 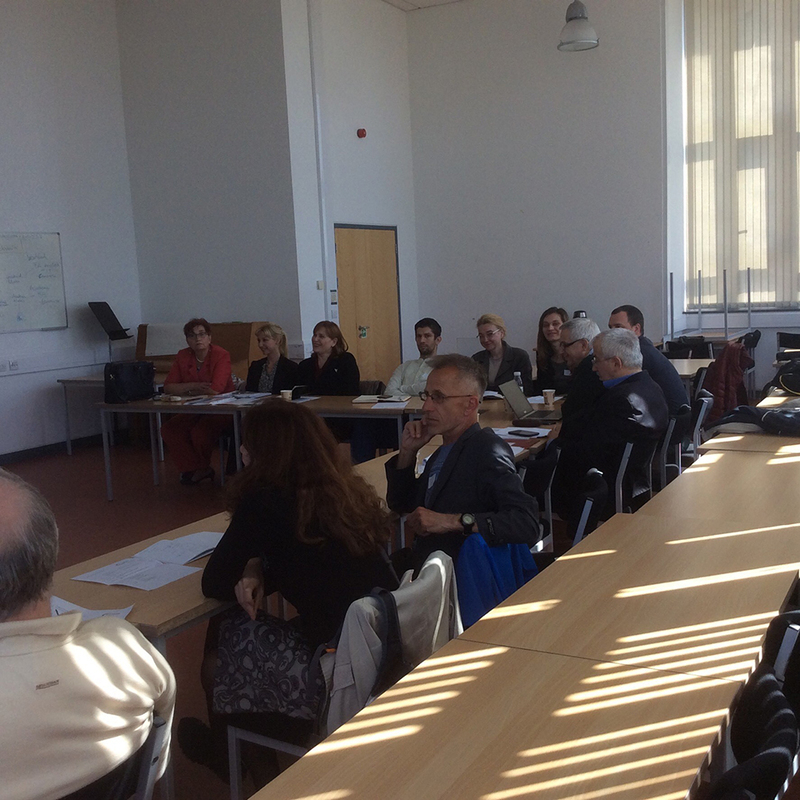 The pedagogical approaches and differences between online and offline learning were also discussed. 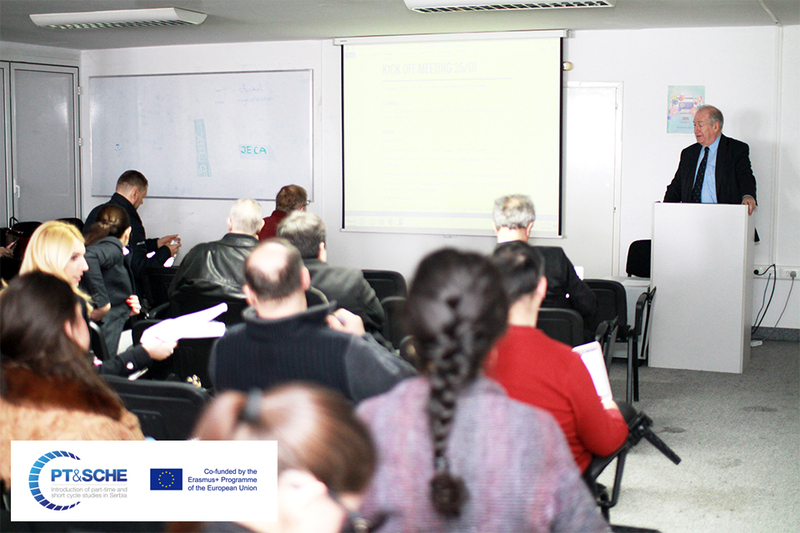 The final session of the event was a management meeting focusing on future activities in WP3 and WP4. The aim of the visit was to overview The International Strategy and project management approach at the University level and to monitor project implementation. First Consortium Meeting , organized by the University of Belgrade. 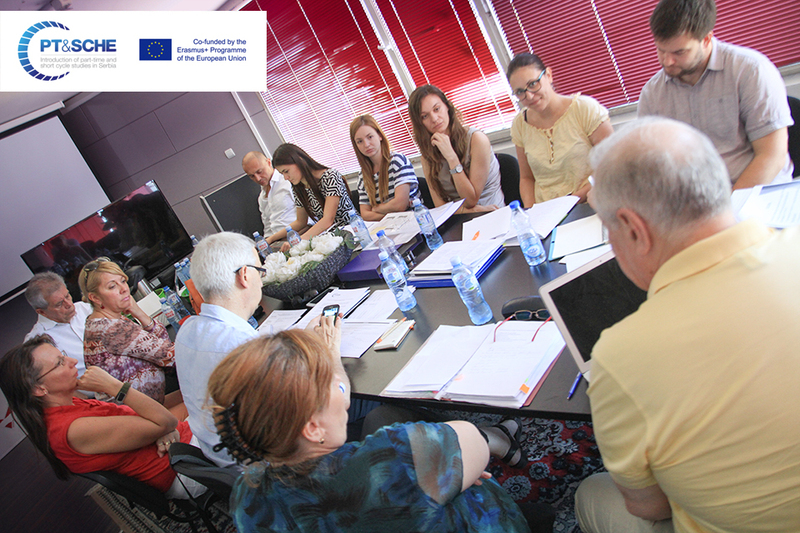 The meeting focused on project achievements in work packages 1 and 2 and prepared project activities for WP3. Institutions, responsible for quality assurance and dissemination activities gave reports on activities done and future tasks in their respective work packages. 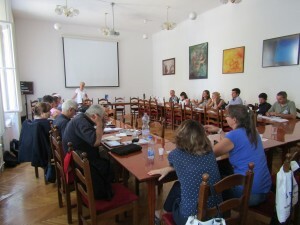 2nd local committee meeting organized by the University of Belgrade. The meeting was considered a working version of the draft of policies about part-time and short-cycle studies. 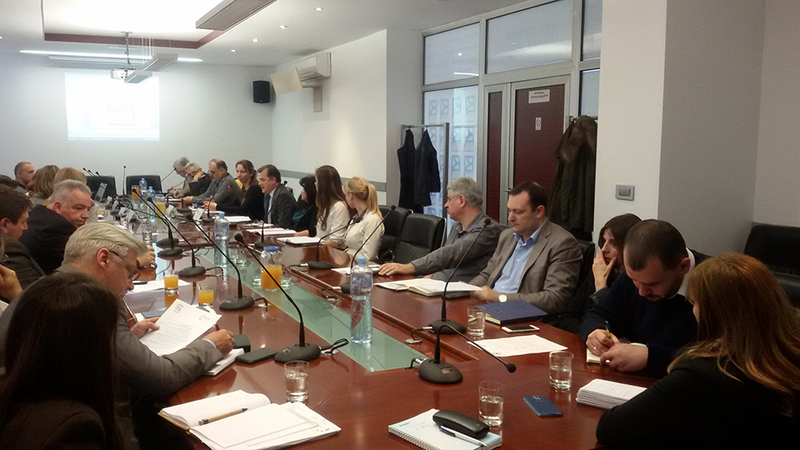 Participants agreed on the aspects of PT and SC studies that will be presented at the Belgrade conference. Study visit to the UK, organized by the University of Aberdeen. During this study trip the presentations and discussions focused on the definition and description of part-time degrees as well as the topic of the transition from college to university. Participants were able to study concrete examples of part-time and blended degrees. 2nd Roundtable Discussion, hosted by the Belgrade Chamber of Commerce and Industry. 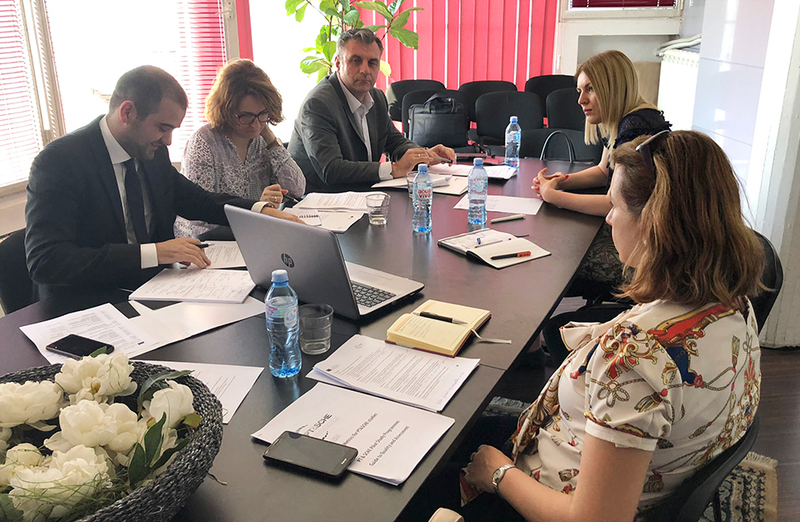 The meeting was aimed at defining the importance of labour market information for the implementation of the project and identifying the concrete tasks of the Belgrade Chamber of Commerce within the project. This meeting focused on clarifying issues for the July 4-5 Conference, the coordination of activities of Serbian partner institutions and the planning of further study visits as well as financial issues and administrative questions. 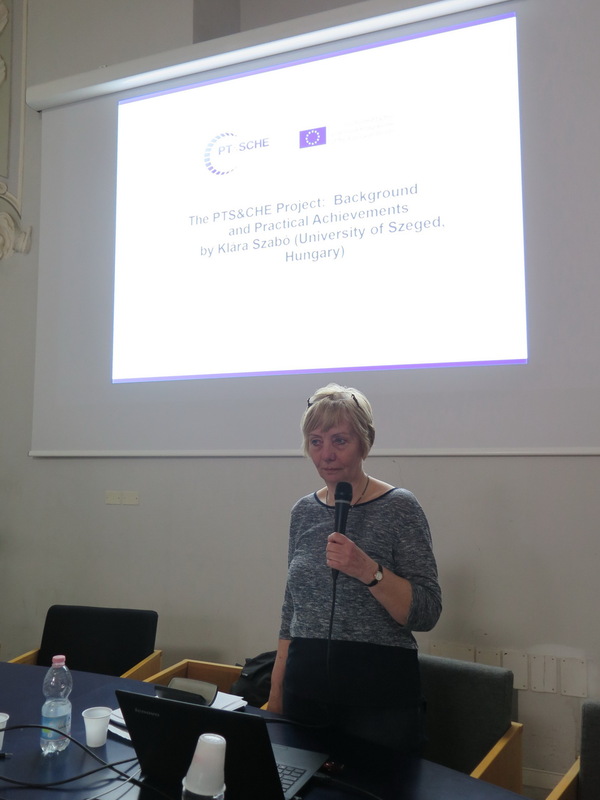 The meeting was aimed at providing basic information on PT&SCHE project (“Introduction of part-time and short cycle studies in Serbia”) to project partners representing the non-educational sector. The meeting defined the importance of labour market information for the implementation of the project and identified the tasks of the Belgrade Chamber of Commerce within the project. 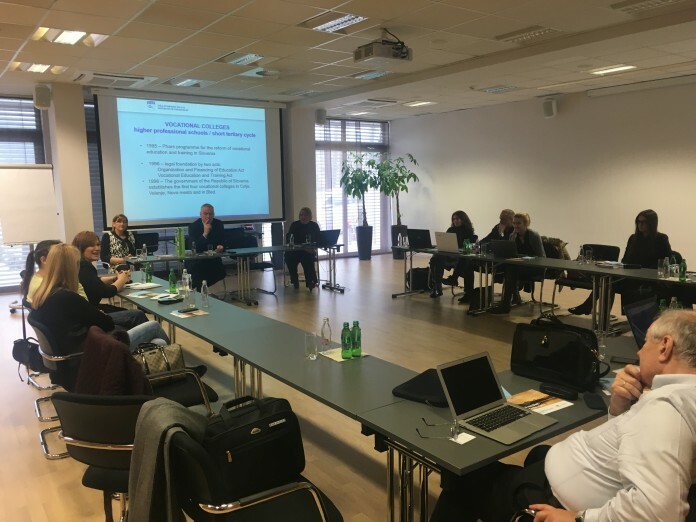 Study visit to Slovenia, organized by the Academia, Maribor, Slovenia. During the study trip the Serbian participants discussed the issue of PT and SC studies in Slovenia. They visited and received an in-depth view of the activities carried out at the Academia, College of SC and PT Education. They also visited the Slovenian Quality Assurance Agency and the Bled College of Short Cycle Education. The online meeting shared information in relation to the delayed start of the project. It identified locaal project teams and mapped the participants’ previous experience in the areas of PT and SC studies. Further, it specified forthcoming tasks and events. Kick-off meeting in Belgrade, hosted by BMU. The meeting focused on outlining the project background and pinpointing its aims. The Plan for Year 1 was also clarified together with the main tasks and activities in the areas of dissemination and quality assessment.